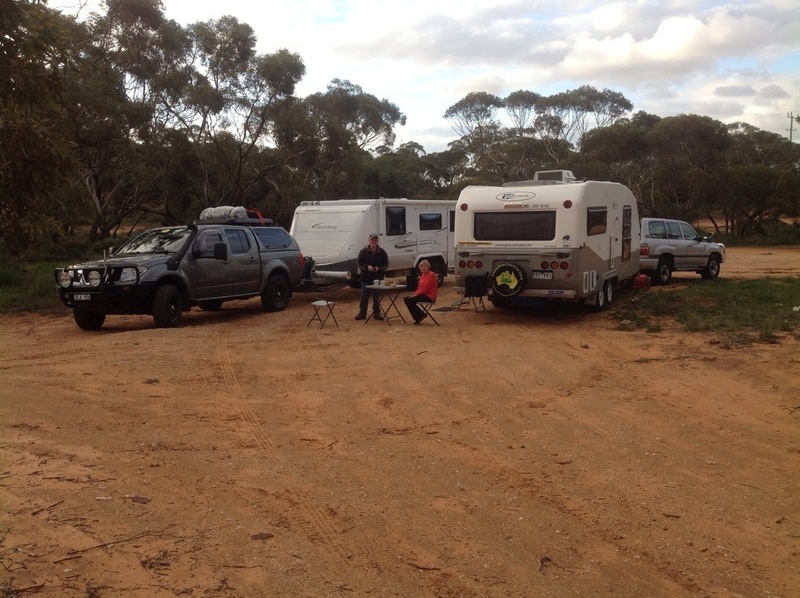 Just north of Hattah for our first overnighter. Rob Farrington joined us and we’ll travel together tomorrow to meet up with the Bartons and the Nunns at Broken Hill. The rest stop is very spacious and the weather is pleasant. Dreadful headwinds on the trip up but it’s died down now to a gentle breeze. Sitting down to afternoon tea and biscuits before curry and rice for dinner tonight.